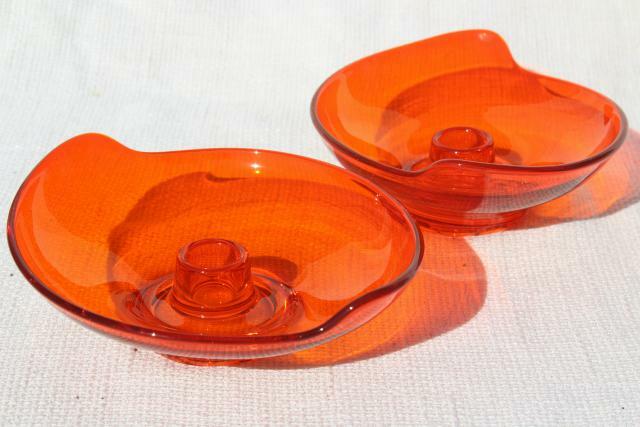 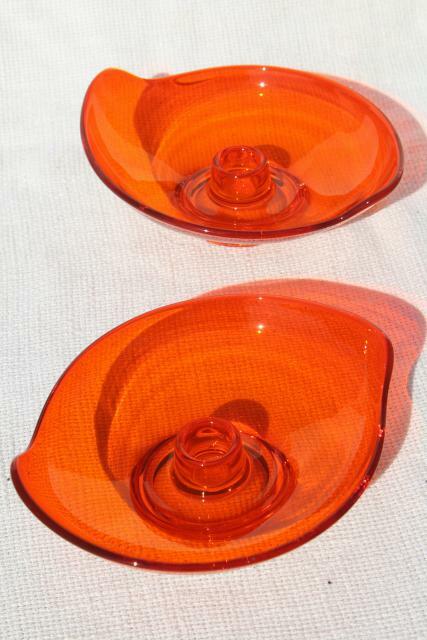 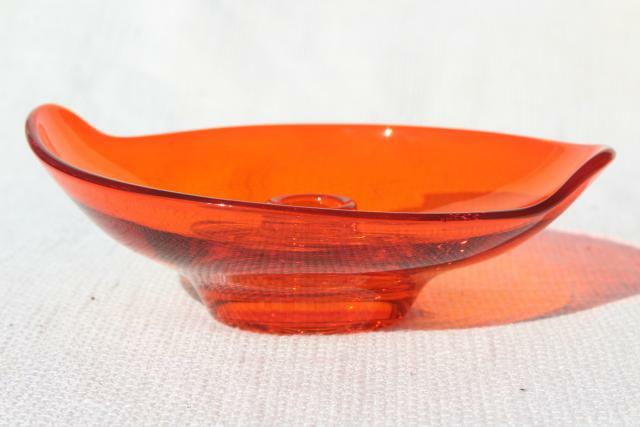 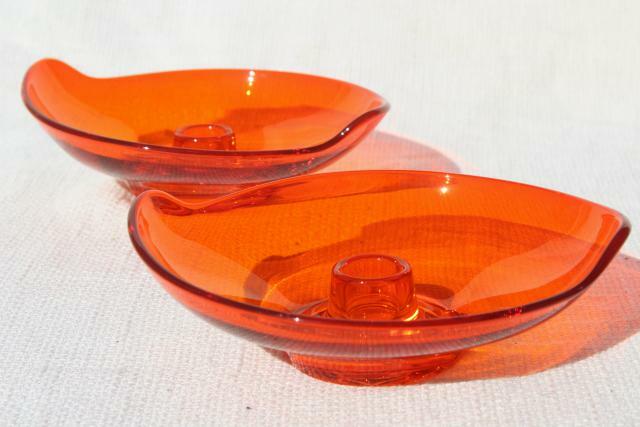 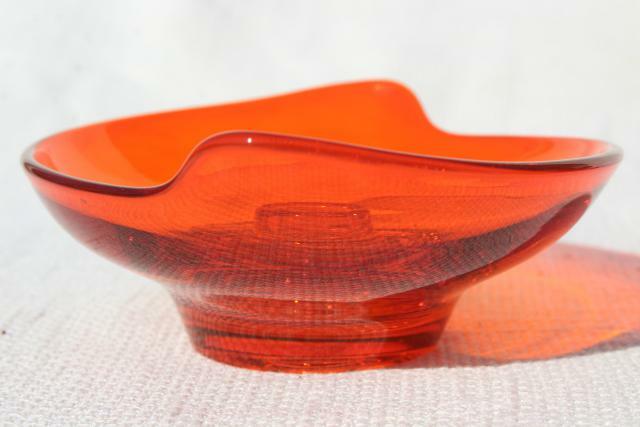 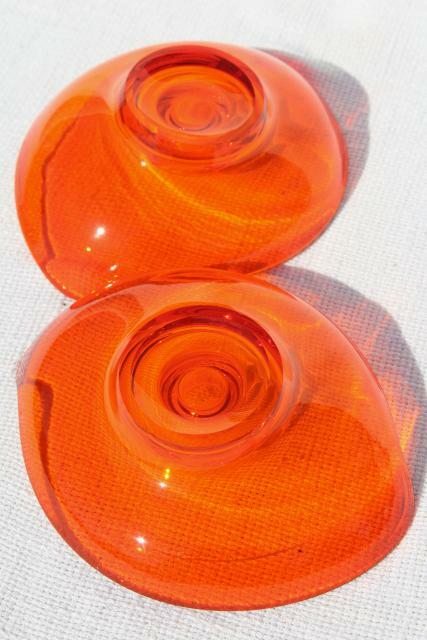 Pair of 60s vintage Viking glass candle holders in a gorgeous vivid orange, so retro! 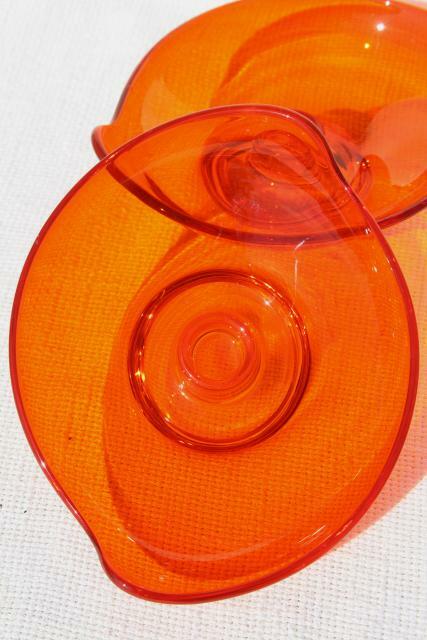 These measure about 5 1/2" x 7" overall. 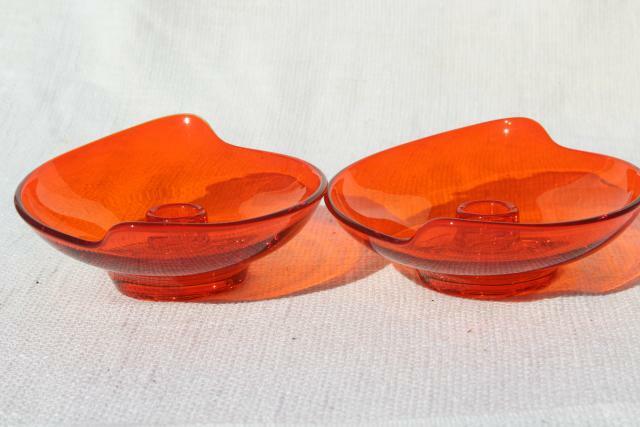 Both are in excellent condition.